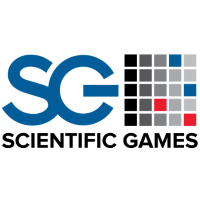 Former Scientific Games CEO Becomes New Chairman at SBTech! According to several sources, former SG CEO Gavin Isaacs is the new Non-Executive Chairman at SBTech. However, what sources don’t tell you is how company shakeups like this have a huge impact on casino markets. With that said, change is usually a good thing for most companies. In fact, it’s during the winter months that most companies in the casino sector clean house by shaking up the leadership within. It’s an aggressive tactic that keeps competitors trying to guess your next move. In Atlantic City, it’s called, staying ahead of the curve! As we mentioned above, shakeups like this could have a tremendous impact on economies, especially New Jerseys. For example, SBTech is one of the most innovative and creative online sports betting software providers in the market right now! Not to mention, they’re responsible for all those betting kiosks that you see throughout Resorts Casino and the Golden Nugget. Furthermore, they have a solid partnership with GAN, who in return has a long term agreement with Resorts. Therefore, when you shake up the house, you never know what the next leader will bring. On that note, Gavin Isaacs has over 20 years of experience in the industry and brings a lot of new ideas to New Jersey. Furthermore, he’s new to the US markets, and that makes him extremely determined to set the bar high. Let’s briefly examine Isaacs most recent accomplishments. As we mentioned above, he spent the last four years as the CEO at Scientific Games. Not to mention, in the last two years alone he drove the company’s revenue up from $1.3 Billion to $2.9 Billion! With that said, we can’t even begin to imagine what’s next for SBTech in NJ.